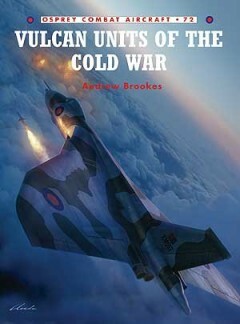 After graduating from Leeds University, Andrew Brookes completed RAF pilot training in 1968. Following recce and strike tours on Victors, Canberras and Vulcans (543, 85, 100, 35 and 101 Squadrons), he joined the tri-service policy and plans staff of Commander British Forces, Hong Kong. After serving on the HQ Strike Command Plans staff, and then in charge of the multi-engine, training and rotary wing desks in the Inspectorate of Flight Safety, he was appointed as the last operational RAF Commander at the Greenham Common cruise missile base. He spent a year studying International Relations as Fellow Commoner at Downing College, Cambridge, before becoming a Group Director at the RAF Advanced Staff College and then co-ordinator of air power studies at the Joint Services Command and Staff College. He is now Aerospace Analyst at the International Institute for Strategic Studies. He publishes and broadcasts widely. 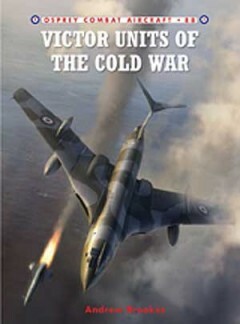 He has written twelve aviation books, including ‘Photo Reconnaissance’, ‘The V-Force’, ‘Air War over Italy’, ‘Air War over Russia’ and a quartet of books, which draw out the flight safety lessons from high profile aircraft accidents. He received the Defence Aerospace Journalist of the Year Award in 2004 and 2006. Andrew Brookes is a Liveryman of the Guild of Air Pilots and Air Navigators, a Fellow of the Royal Aeronautical Society and a Fellow of the Royal United Services Institute. He is Vice President of No.343 (Camberwell) ATC Squadron.